China has maintained Africa’s largest trading partner for nine consecutive years. The implementation of the 10 major China-Africa cooperation plans has created nearly 900,000 local jobs in Africa, accelerating the sustainable development of the continent. African political heavyweights, in recent days, have voiced their supports for China’s African policies on various occasions, refuting those who smear or obstruct China-Africa cooperation. “China is Africa’s sincere partner and friend, and African people oppose unfounded accusations against China,” said Namibian President Hage Geingob, adding that China always treated African countries equally. “China has never colonized Africa in history, and now it is Africa’s largest trading partner, offering abundant opportunities for the continent,” Zimbabwean Ambassador to China Paul Chikawa disproved the western accusations against China, adding that the western countries did nothing to help Africa but making indiscreet remarks. “China and Zimbabwe see a large gap in economic size, but China has always worked with us to seek for solutions and equal cooperation whenever Zimbabwe is in trouble,” he remarked. Djiboutian President Ismail Omar Guelleh noted that the history of cooperation between China and Africa was based on win-win cooperation and mutual respect, in contrast to the defaming by some external powers. China saw a stronger Africa as an opportunity rather than a problem, said Rwandan President Paul Kagame, who serves as the rotating chairperson of the African Union (AU), at the opening ceremony of the Beijing Summit of the Forum on China-Africa Cooperation (FOCAC). He also criticized on the misinterpretations of China-Africa ties, saying that “Africa is not a zero-sum game and our growing ties with China do not come at anyone’s expense”. China’s engagement in Africa has been “deeply transformational both internally and with respect to Africa’s global position”, according to him. Kagame said that Africa-China cooperation improved infrastructure and promoted industrialization of Africa. In addition, the continent also witnessed increasing employment and improved livelihood. Speaking of the debt issues, the AU rotating chairperson explained that debt was inevitable for every country during development, since every construction needs capital. He said China’s loans were used on the projects and areas that would help Africa grow, and the so-called debt trap was groundless, adding that China was a reliable partner. Moussa Faki Mahamat, chairperson of AU Commission, said that Chinese President Xi Jinping’s proposal of the eight major initiatives and financial assistance for African countries were a concrete reflection of China-Africa comprehensive cooperation. The official launching of AU representational office in Beijing would also further enhance Africa-China dialogues and cooperation, Faki said. Guelleh, citing a 2017 report, said that nearly 90 percent of Chinese enterprises in Africa were private companies, and 89 percent of the employees working in these enterprises were from local communities. Millions of jobs had been created in Africa, and Chinese companies also offered skill training courses to local employees, he added. “Our relations have been mutually beneficial. For countries that we have dealt with before from the West, the benefit was always brought to what they call ‘the mother country’. 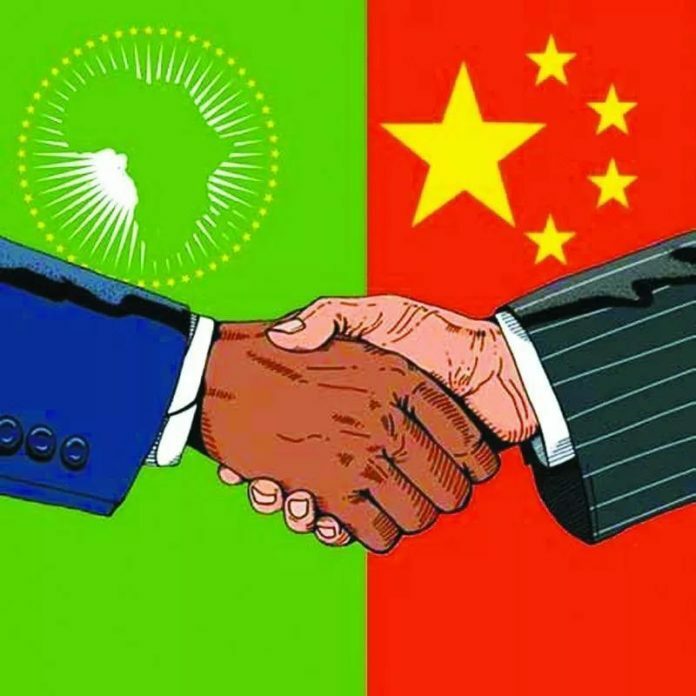 Now China is different, that is why we feel like it is a true and loyal friend,” said Motsoahae Thomas Thabane, Prime Minister of the Kingdom of Lesotho. He added that China’s contribution to Africa’s development since the 2015 Johannesburg Summit of the FOCAC was obvious, and no other country had done that. “China-Africa cooperation not only benefits Africa, but also the world peace and development,” he remarked. People.cn, founded on Jan. 1, 1997, is a large-scale news platform built by People’s Daily, one of the top ten newspapers in the world. It is also one of the largest comprehensive media sources on the Internet. People.cn is available in seven ethnic minority languages and nine foreign languages. It publishes news in the form of text, picture, video, Weibo and Apps around the clock. It has formed a reliable and extensive readership consisting of users from 200 countries and regions around the world.